If you know me, you know I am a fan of animals. 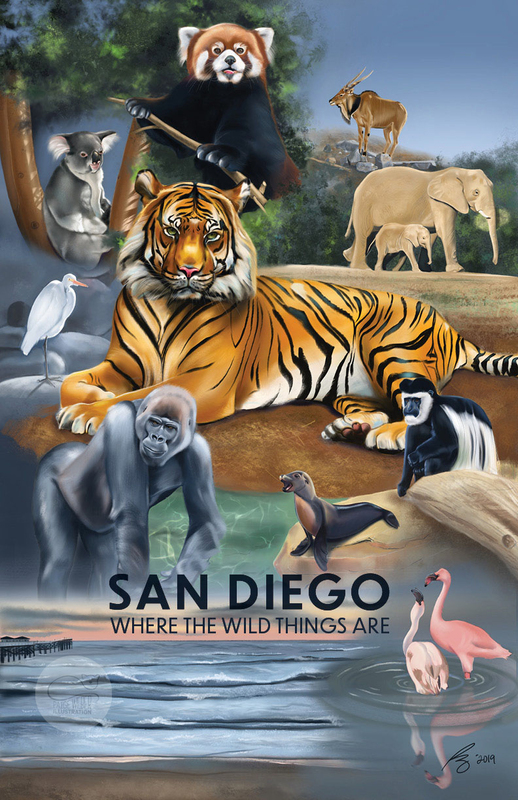 Recently, on a trip to San Diego, my husband and I toured Sea World, San Diego Zoo, and the San Diego Safari Park. I think we trekked over 15 miles in three days, seeing all we could. We went to the beach too—to take photos, watch surfers, and listen to the ocean. It was an incredible trip and I hope to visit again. By far, the animals were our favorite part and I took hundreds of photos. I always do when I travel. You never know when you’re going to use them for reference! This illustration is my ode to our trip to San Diego. I will have prints available soon in the shop! Copyright © 2019 Paige Weber Illustration. All Rights Reserved.